Debuting in 1990, the Oldsmobile Silhouette and its siblings including the Chevy Lumina and the Pontiac Trans Sport were created on the U Platform. The Silhouette remained in production through two generations until it was replaced in 2004 by the newly designed Buick Terraza. Standing out from other minivans of the time, the Silhouette was the first of its kind offering minivan owners a sleeker and more stylish design as well as a more space and a more elevated viewpoint. From engine parts to trim, electrical parts and even accessories, you can find them here at GM-Car-Parts.com. Start finding the parts you need today. 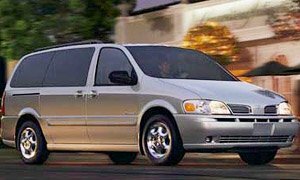 Looking for the highest quality parts for your “Cadillac of Mini-Vans?” GM-Car-Parts.com carries all available OEM replacement genuine GM parts and accessories for your Oldsmobile Silhouette. Order over $300 and shipping is FREE*. We also have freight shipping available for larger parts as well. Whether replacing your bumper or sprucing up your interior, find all the genuine OEM parts and accessories at wholesale prices on GM-Car-Parts.com. 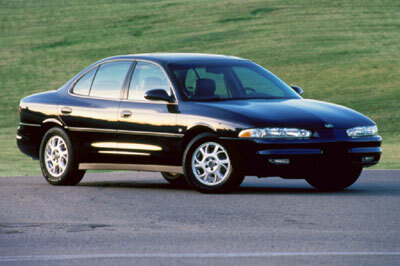 Considered one of GM’s most promising mid size sedans the Oldsmobile Intrigue was in production from 1998 to 2002. Compared to its predecessor the Cutlass Supreme, the Intrigued was produced on the W body 2nd Generation platform. All models of the Intrigue came standard with V6 engines, dual airbags and 4 wheel independent suspension as well. 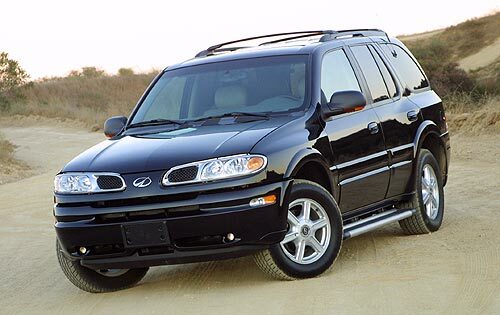 Cleanly styled and reliable, the Intrigue came in a number of trim levels including GX, GL, and top GLS trims and in 2000 a new gold-trim package. Whether you are looking for new seatbelts, rear bumpers or even a new actuator for your 2000 or your 1998, you can find what you are looking for here at GM-Car-Parts.com. Order over $300 and Shipping is FREE*. We offer customers freight shipping for larger part orders such as replacement bumpers or other body parts. A mid size luxury SUV, the Oldsmobile Bravada began production in 1991. The first generation of the Bravada ran just 3 years until 1994 but was renewed with its second and third generations which were produced from 1996 until 2004. The first truck based vehicle offered by Oldsmobile since the 1920’s, the Bravada drastically changed during its production most notably from the 2nd to the 3rd generations which switched entire platforms going from the original GMT330 to the newer GMT360. Other vehicles produced on this platform included the Chevrolet TrailBlazer and the GMC Envoy. The Bravada was designed to be a cut above other SUV’s of the time. Catering to luxury and style, the sleek looking Bravada also afforded owners the responsive performance and handling of other classic Oldsmobile’s. Whether you are improving the appearance of your Bravada or enhancing its performance, you can find the genuine OEM parts and accessories you are looking for here at GM-Car-Parts.com. Enjoy online shopping anytime and wholesale prices as well. Be sure to provide your VIN when placing your order to ensure you get the right part for your Bravada or other GM vehicle.